Right now, it's 2 degrees outside and I am *wishing* for a day at the beach. There's nothing more fun that turning a day on its heels and just totally doing the opposite of what's around you. Not to mention, it's fun to interject a little sunlight into these long, cold winter days. So close the shades, ignore the winter weather and host an Island Day with the kids. We've got movies, books, activities and some fun food ideas that will have you basking in the sun in no time! 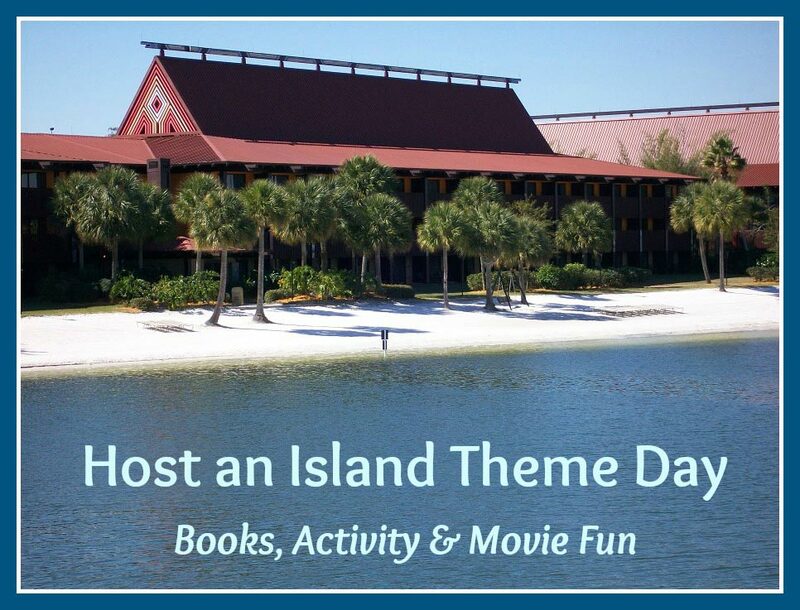 No matter what you're age, everyone will enjoy an Island theme day! Get in the mood with some of these fun options, recipes and activities. We're also including affiliate links for your information and convenience to make a few items easier to find. Islands can be found all over the world in both the northern and southern hemispheres. There are quite a number of famous islands with names that may be recognized by kids -- Fiji, Crete, Hawaii, Ireland and Iceland are just a few. Try locating a few islands on your map or globe. Ask the kids which they would like to visit (my choice: the Galapagos Islands!) If you don't have a map or globe in the house, check out our tips in Why Every Home Needs a Map! If you plan to watch a movie or read a book, set up a few beach towels which can also serve as a great 'picnic blanket' for a fun snack (see our list below). And if you have any Hawaiian Leis around the house (those Hawaiian flower necklaces), put them on too. Or print these free paper Lei flowers from First Palette and make your own lei! One thing I love about these snack ideas is that the ingredients are available in the winter (including the fresh fruit options)! And I love this Island Snack from 360 Family Nutrition! If you're looking for a easy-to-clean-up option, a snack mix of banana chips, dried fruit and macadamian nuts (most stores have a mix like this) is great too! And serve drinks in glasses with little umbrellas or fun Umbrella Straws! Nim's Island is a fun movie about the adventures of a girl and her father, who live on an unknown island. It's based on a book (shown below) so consider doing a read-aloud with the kids. It's also available online at Nim's Island on Amazon Instant Video There's also a follow-up version too -- Return to Nim's Island. Introduce your kids to one of the original 'island' tv shows, Gilligan's Island . No matter what your age, there's lots to laugh at with Gilligan, Ginger, the Skipper & Mary Anne! 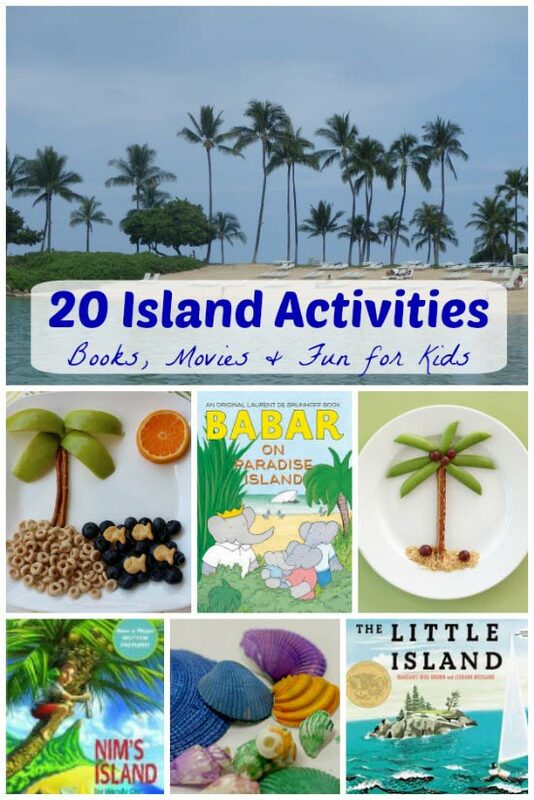 Enjoy storytime with an island theme -- here are a number of great books for kids of all ages! The Little Island by Margaret Wise Brown explores the life of a little island. The Island of the Skog by Steven Kellogg tells the story of a group of mice who decide to leave the city and live on an island. My Little Island by Frane Lessac is a Reading Rainbow book and a beautiful story about an island that's home to a volcano. Babar and his family are shipwrecked on a desert island in Babar on Paradise Island, a beautiful new book in the series! Abel's Island, a Newbery Award & Honor Book, is a wonderful story about a little mouse who is swept away from his wife and has to survive on an island while trying to find a way home. Paint Seashells -- the kids will love decorating some of the shells they've collected from past beach trips! Here's a great post on how to paint sea shells from Fun-a-Day. Don't have any shells of your own? You can find them at a local craft store or online -- here's one set: Sea Shells In Bag. What's an island day without some water fun! Head to a local indoor pool or splash park. If you don't have a pool available, try letting the kids 'swim' in the bathtub! I also love this Make Your Own Pirate Map activity! Tons of creativity and a great follow-up activity for many of the books & movies on our list. 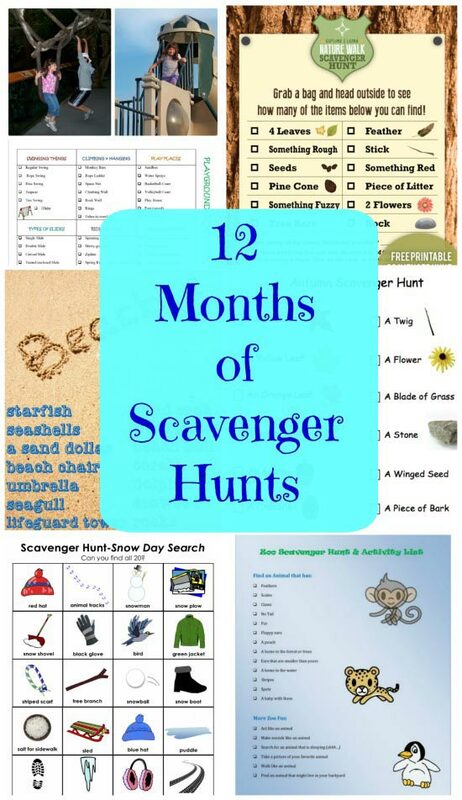 Or if it's warm enough to venture outdoors, the kids will love this free printable Treasure Hunt Adventure found at Free Homeschool Deals! Test out some science with this fun Will it Sink or Float? activity too! Use items from around the house or things that you might find on a island.